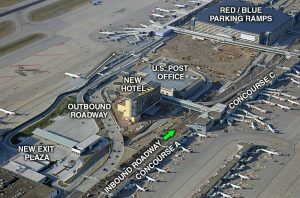 Let’s face it—the best part of traveling is arriving at your destination, not how you got there. 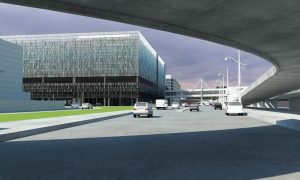 But getting to and from the airport is an important part of your trip. 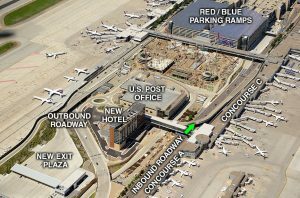 Whether you park, get dropped off, take public transit or rent a vehicle, you want this leg of the journey to go as smoothly as possible. 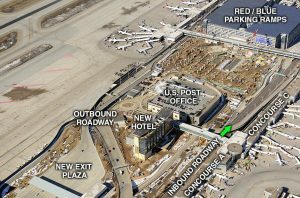 Over the next four years, we’re planning some big changes to the Terminal 1-Lindbergh parking, ground transportation areas, and roadways. 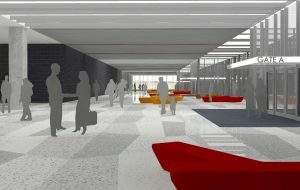 Here’s where you can learn about what to expect. 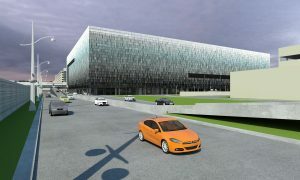 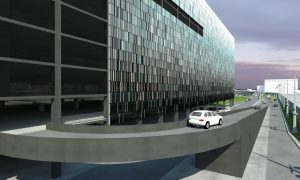 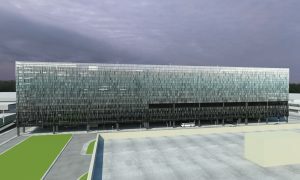 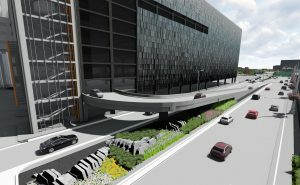 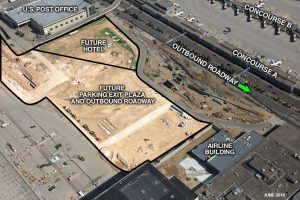 The Metropolitan Airports Commission is in the midst of building a new 5,000-space parking ramp. 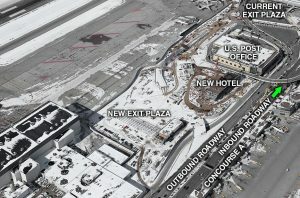 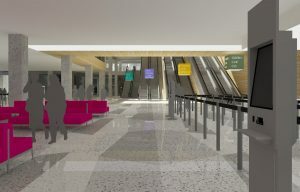 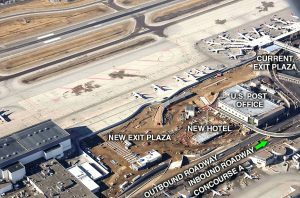 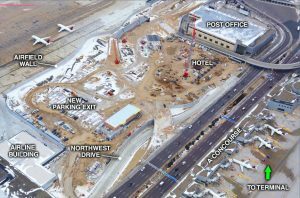 The ramp – scheduled to open in 2020 – will help alleviate parking constraints at Terminal 1-Lindbergh, where current facilities regularly fill for short periods on Tuesdays and Wednesdays. 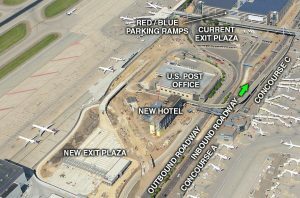 Customers who park in the new ramp will take the existing tram between the Red and Blue ramps to the terminal building. 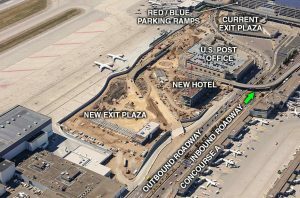 As part of the project, the outbound roadway has been realigned and the parking exit plaza moved east. 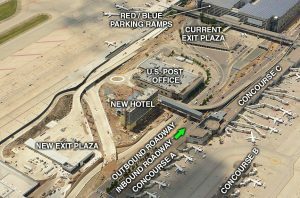 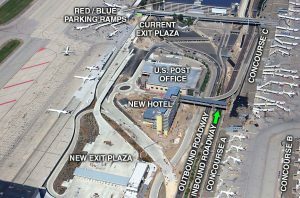 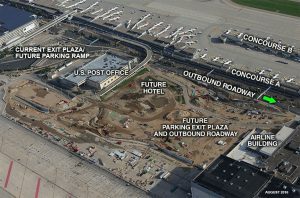 The rental car facilities (currently located on levels 2 and 3 of the Red and Blue parking ramps) will move to the new ramp to free up parking spaces closer to the terminal building, and a transit center placed at the far east side. 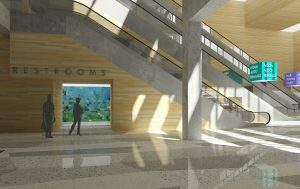 Below are a few renderings offering different perspectives of the outside and inside of the facility. 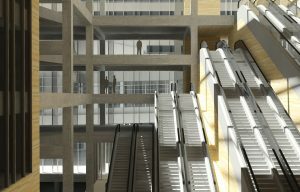 Sign up to receive email updates through our e-news service by choosing the “MSP Reimagined” topic. 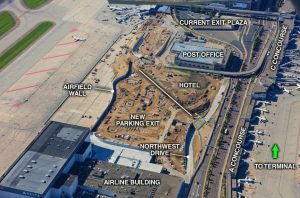 To some, moving earth for a construction project is old hat, but when you still have to accommodate thousands of visitors every day, things can get complicated pretty quick. 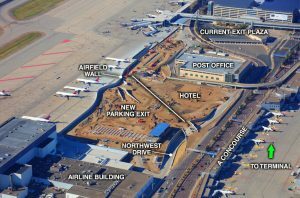 Since June 2016, hundreds of construction workers have contributed to ensuring visitors to MSP Airport’s Terminal 1-Lindbergh have 24-hour access every day of the year all while making room for a hotel and fourth parking structure.